The Queen of Versailles will be screening across the UK for a one off event on Tuesday October 2nd. 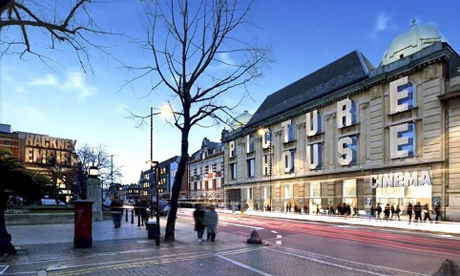 The film was chosen as the Picturehouse cinema’s favourite documentary of the month and is being screened across all of their cinemas nationwide. With 4 Star reviews from The Guardian, The Independent, The Telegraph, The Times, Little White Lies, Empire, Total Film and two weeks running as Time Out’s Critic’s Choice, The Queen of Versailles is a character-driven documentary about a billionaire family and their financial challenges in the wake of the economic crisis. With epic proportions of Shakespearean tragedy, the film follows two unique characters, whose rags-to-riches success stories reveal the innate virtues and flaws of the American Dream. The film begins with the family triumphantly constructing the biggest house in America, a 90,000 sq. ft. palace. Over the next two years, their sprawling empire, fuelled by the real estate bubble and cheap money, falters due to the economic crisis. Major changes in lifestyle and character ensue within the cross-cultural household of family members and domestic staff. It will be showing at 6:30pm at the Hackney Picture House on October 2nd – ie. next Tuesday.